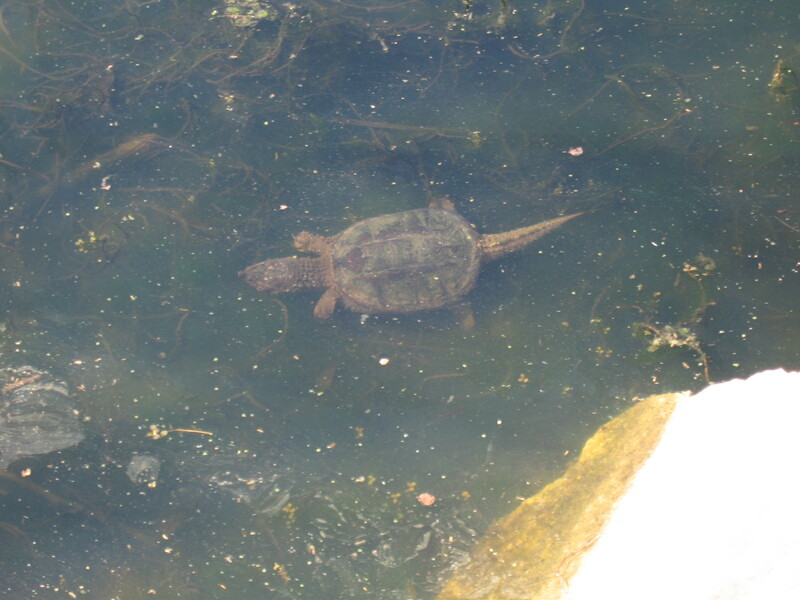 Glad i took a walk today because I saw the snapping turtle who lives under the bridge. Haven’t seen her since 2010 and feared she’d perished somehow. 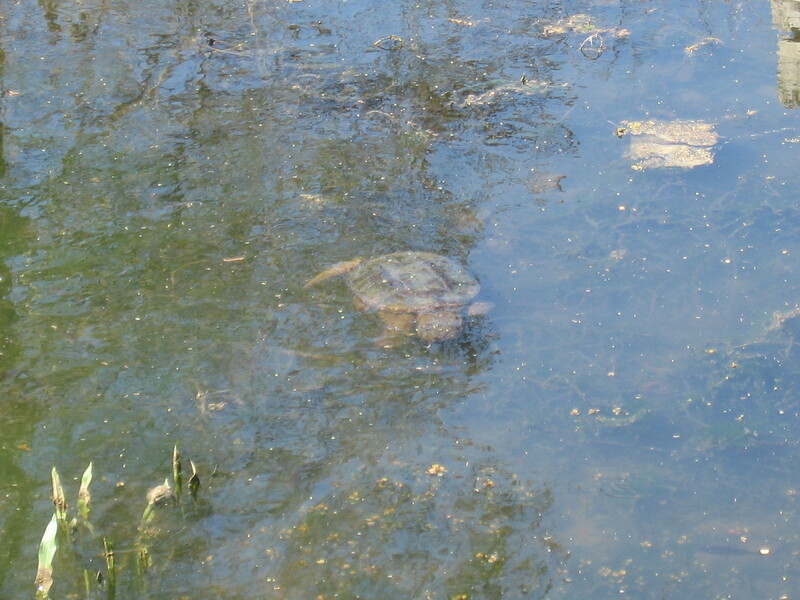 But no, she’s alive and well and mostly hiding out in the muck. 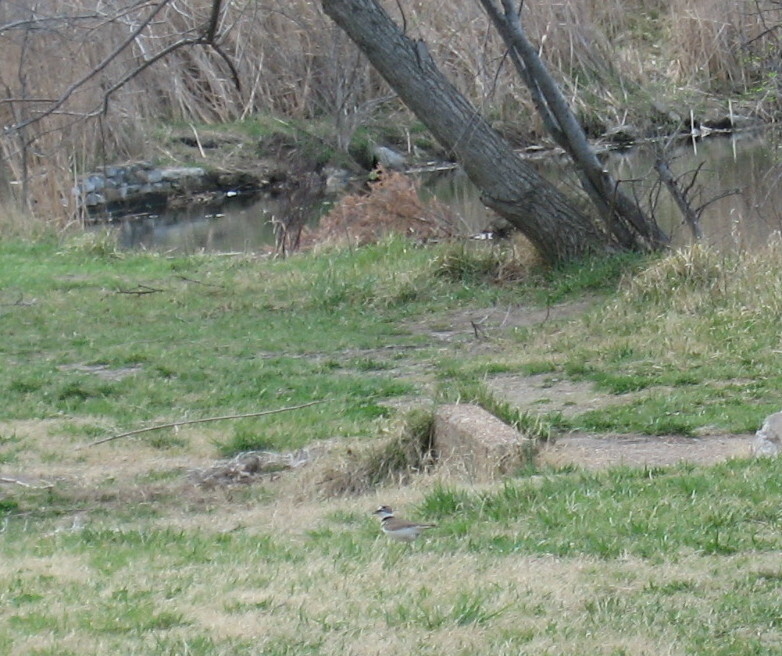 Other recent sights: this killdeer who is in the same place every time I take a walk. 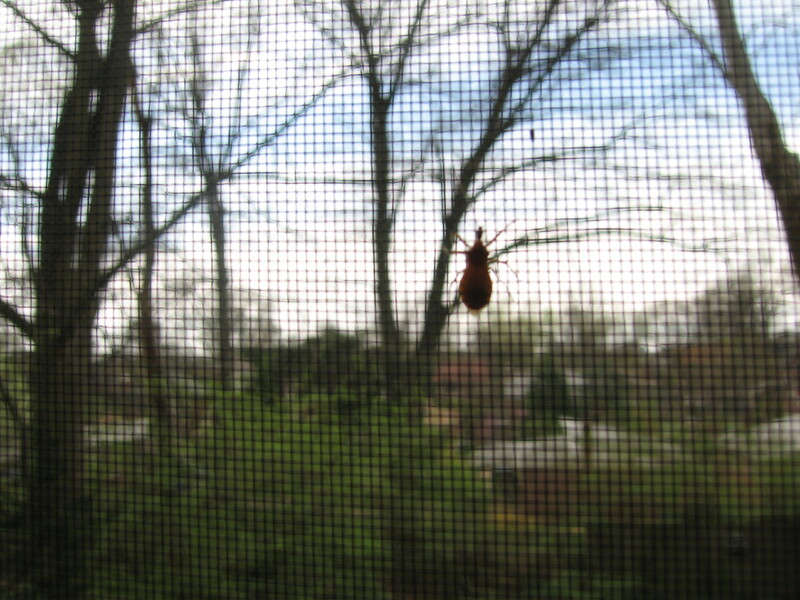 Probably nesting nearby and a true bug on our window screen. It’s a little early for true bugs. I think everything is early this year. 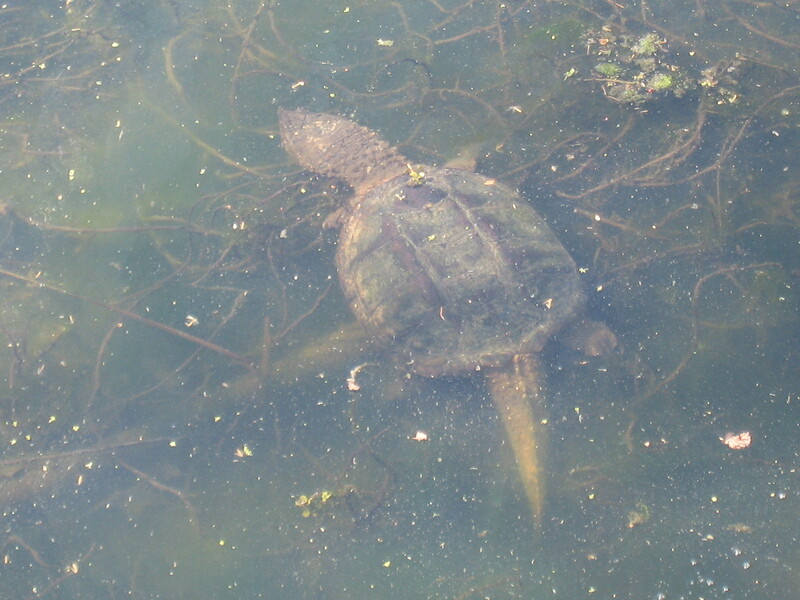 This entry was posted in birds, Critters, Forest Park, insects, Spring, Uncategorized and tagged snapping turtle. Bookmark the permalink.